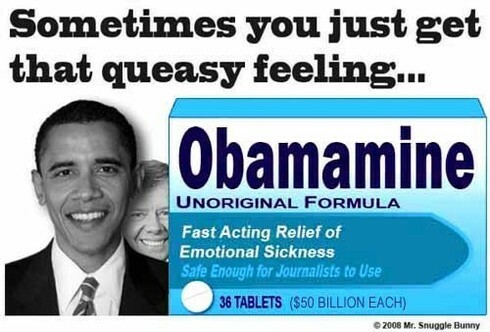 Blog For Freedom: Finally... a Cure for Too Much Barack Obama! I go against this silly depiction of Obama. Atleast, he is trying to clear the mess republicans have created. America desperately needs a President who can restore the influence and dignity of this great nation. He may be trying to clear up a big mess. I can admire that. However, the problem comes when one person has so much power to try and "fix" society to match their own ideal and really doesn't understand the all-important role of freedom and correct principles, both for humanity and the economy. America doesn't need "a President who can restore the influence and dignity of this great nation." It needs a return to the freedom that America's founders fostered, so that the great people of this nation can restore it's influence and dignity.